Microsoft certainly means business with Windows Phone 8, and it’s easy to see why. The second major re-imagining of Windows Phone of recent years, this time around is arguably Microsoft’s last chance to make its mobile operating system stick. 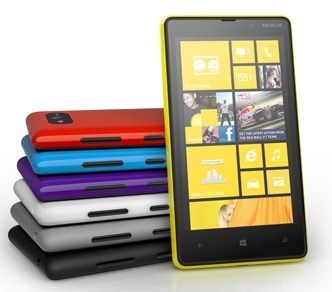 With strong competition coming from Apple and Google, Microsoft’s Windows Phone 8 is struggling to make any real impact. Alongside the release of new Windows Phone 8 devices from HTC and Nokia, Microsoft is bringing out the big guns, proving that there is plenty of money left in the advertising coffers in Redmond – we’re fairly sure none of these names come cheap! So, let’s look at the names in question. In the United States, Microsoft has recruited Will Arnett to help promote the Nokia Lumia 920. A yellow Lumia was originally spied in one of Ke$ha’s music videos but, interestingly, that has been replaced by a deck of cards. Presumably that particular cheque wasn’t quite as big as it could be! In the UK, TV presenter Holly Willoughby has been enlisted to promote Windows Phone 8’s Kids Corner with Jay-Z, Gwen Stefani, and James Corden also on the payroll. Windows Phone 8 is certainly set to be seen in the hands of some big names, but we can’t hope but think they’ve all got iPhones in their pockets and purses. We someone doubt those will be part of the ads! Microsoft is not the only company with plenty riding on the success of Windows Phone 8. Nokia, too, finds itself desperately in need of a win this time around, and that is clear for all to see in the way the Finnish firm is pushing its latest Lumia lineup hard. The strong tie-in with Microsoft will no doubt help with the advertising push, but will it be enough? Everyone who has used Windows Phone 8 generally agrees that this version is probably the best Windows Phone yet, but in a world where the iPhone and hundreds of Android phones dominate the marketplace, Windows Phone’s lack of apps compared to the competition may still hold it back in the eyes of potential buyers.